It has become an annual tradition for me to publish my Holiday Gift Guide. 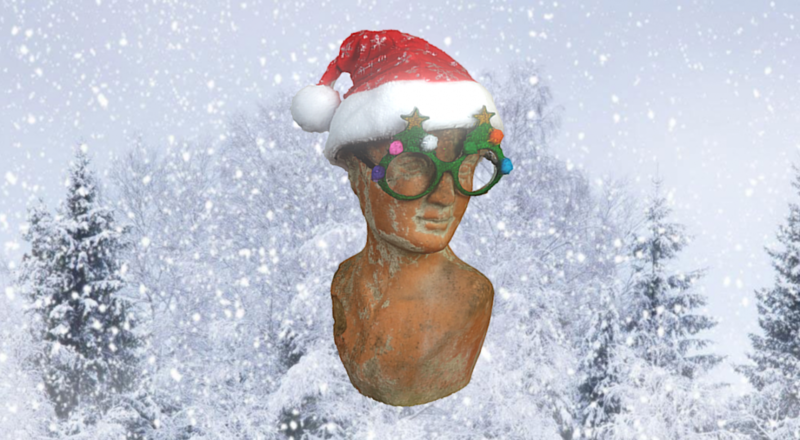 Like previous years, I’ve created curated list of 3D Capture Gifts for Photogrammetry as well as 3D Scanning. To make shopping easier for you, I’ve sorted this years products by price. Below are not just any random products below $100, $200 and $500 but ones that I use myself and greatly recommend. Of course, I you’re considering to invest in 3D capture equipment beyond these budgets, you can always contact me for tailored advice. 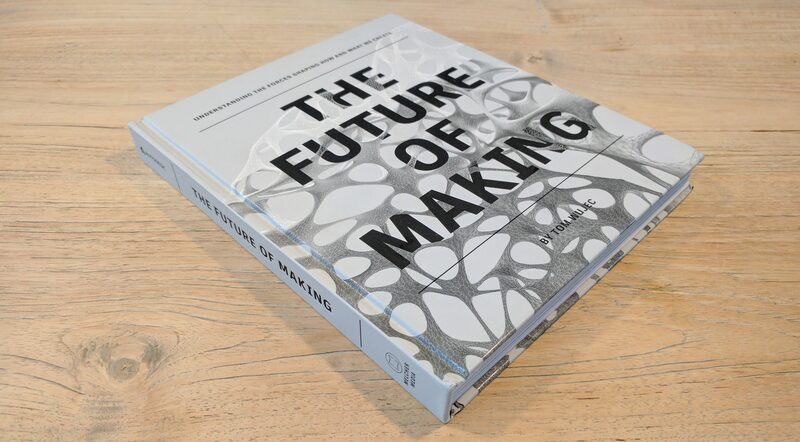 Books are nice gifts and this one by Autodesk is a very nice one for everyone interested in design and manufacturing. It’s also a very nicely printed book, with subtle glossy spot varnish (not just on the cover — everywhere! ), great photography and clever infographics that explain processes. What particularly interesting is that the very first chapter of the book is called Capture and goes into “locat[ing] things in the real world and place them into a parallel digital world.” This includes 3D Scanning (with sensors and lasers) and Photogrammetry. For single-camera photogrammetry, a tripod is essential to prevent motion blur in photos. I’ve been using this light-weight one from Manfrotto for a while and really like the quick-release mount and easy operation. It’s very compact and comes with a travel bag. 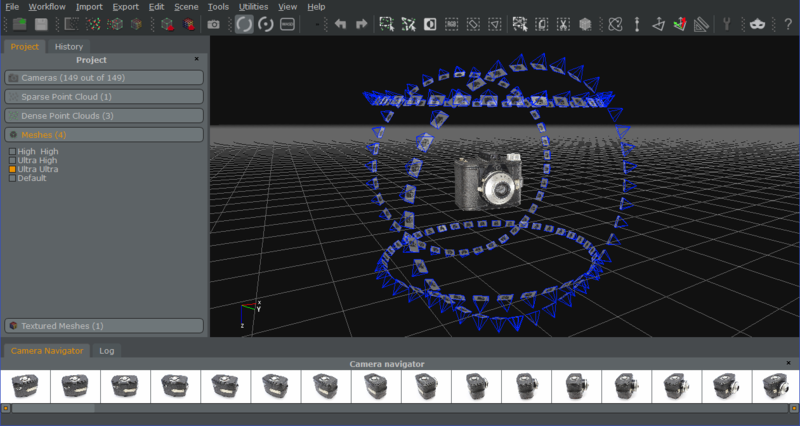 As you can read in my Review, Zephyr is great software for photogrammetry. It has a nice user interface and works on most modern Windows PC’s. And while a fast graphics card will speed up processing greatly, the software works with older and less powerful ones as well (check the system requirements) making it suitable for many users. The Lite version has a 500-photo limit, making it perfect for single-camera photogrammetry. Photogrammetry with a single camera can be very time-consuming. This app-controlled turntable can automate the process almost entirely. It features a infrared transmitter that can automatically trigger the shutter of your DSLR camera after each rotation. 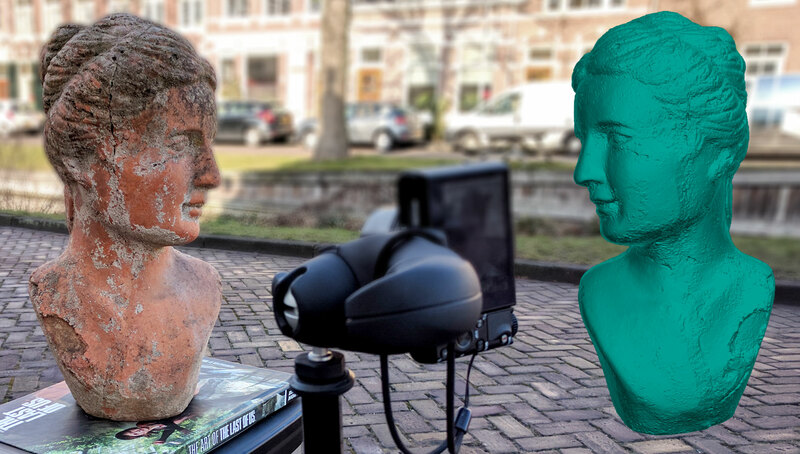 Check out this post to see how I used to to capture both this bust and a full 360×360 3D capture of the vintage camera in the 3DF Zephyr screenshot above. 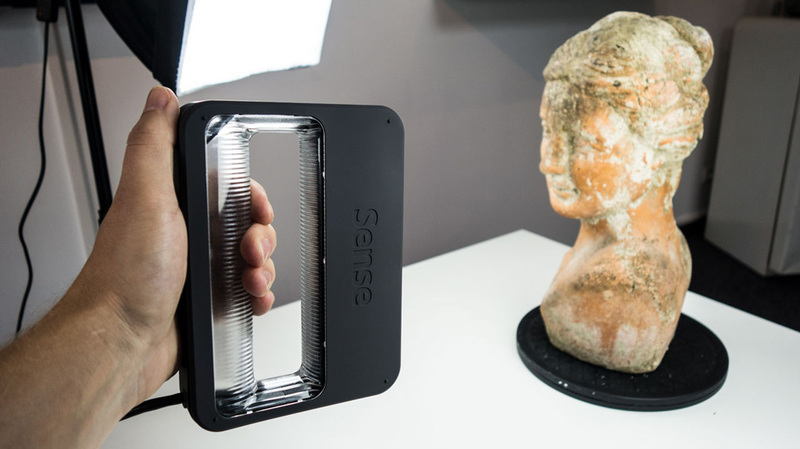 Good lighting is very important for both photogrammetry and for getting good texture quality from a depth sensor like the Sense 2 (see below!). Last year, I still told people to get a light kit with fluorescent bulbs if they where shopping on a budget. But in 2018, LED panels have finally become a lot more affordable! The benefits are obvious: they’re a lot more compact and easier to use than soft boxes and require a fraction of the electricity to operate. If you’re making a setup with a fixed camera position like the turntable setup above, a set with 2 lights will suffice. If you plan to move the camera and tripod around the subject, I’d advice to get a set with 3 lights. For photogrammetry, a decent camera will greatly improve both the results and the workflow. Canon’s entry-level cameras a great starting point. It works with the smart turntable I mentioned earlier. 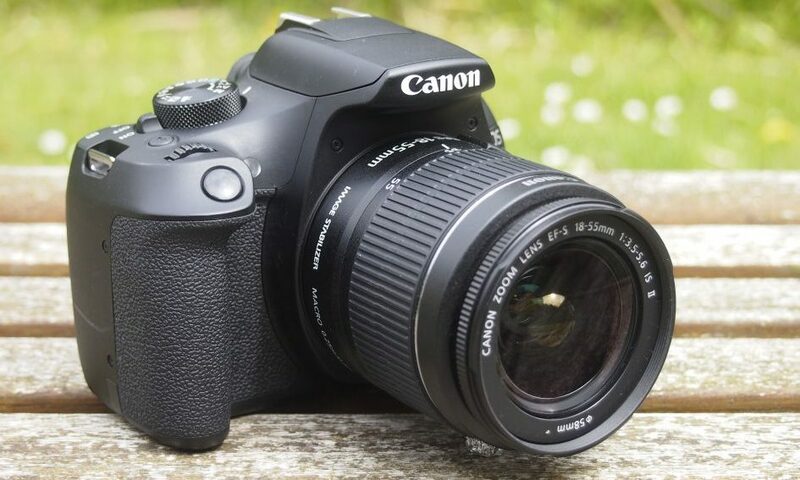 And while the T6 / 1300D is actually last year’s model, you can get it at a very good price now. 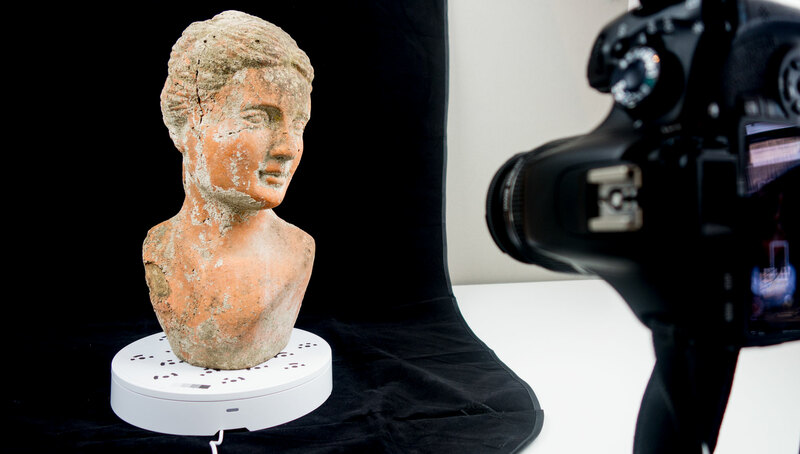 While photogrammetry is great and affordable, using an active 3D scanning device has a lot of benefits: it’s easier to learn, faster to operate and delivers near-instant results. And while professional handheld 3D scanners are still expensive, entry level devices that make use of a depth sensor are available for under $500. The second generation Sense 2 from 3D Systems features an Intel RealSense SR300 sensor which can capture both geometry and color textures in a quality that’s suitable for many entry-level applications. And it comes with the free Sense for RealSense software that allows unlimited scanning with an easy-to-understand user interface that works on both Windows laptops and tablets. Be sure to read my Review and check the system requirements before buying. 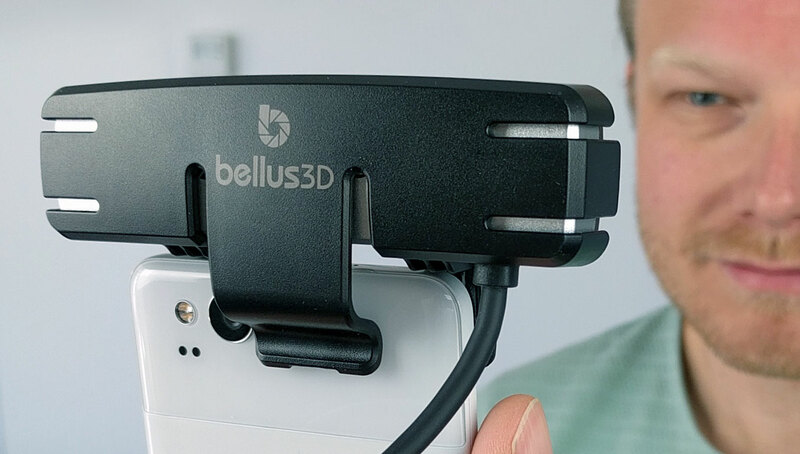 If you want to scan faces in a higher resolution than other depth sensors offer, the Bellus3D Camera Pro is a great option. It works with Android devices, so you can operate it with a relatively simple and affordable device. Be sure to check out my full review of the device. Hoping this list was useful for your holiday shopping! A nice gift for those who are interested in design and manufacturing.